Perhaps you’ve seen some butterflies in your garden and wondered how you could attract more of them. 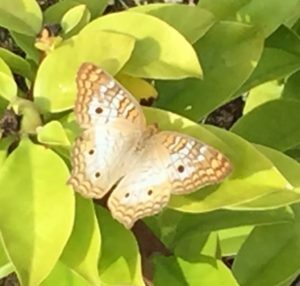 Debbie Hughes, senior horticulturist at Edison and Ford Winter Estates, will talk about butterflies that can be found here in Southwest Florida and which plants you need to attract them to your garden, at the next Garden Talk. It’s important to know which butterflies already exist in and around your neighborhood. If you live in Southwest Florida, you are not going to be able to attract a butterfly that only resides in California. Once you learn which butterflies are in your area, you can concentrate on the plants that each one needs for survival. 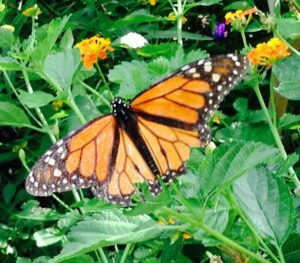 There are two categories of plants that every butterfly garden must have: host plants and nectar plants. Host plants are the ones that butterflies lay eggs on and the caterpillars (larval stage) eat. Nectar plants are simply plants that butterflies will visit for nectar. Both types of plants are essential for butterflies to exist. Butterflies have very specific requirements for the host plant; some will only lay their eggs on one type of plant. Keep in mind that these plants will get eaten – sometimes every leaf on the plant will be devoured by very hungry caterpillars. Don’t worry, the plants can handle it and new leaves will form in a short amount of time. Nectar requirements are not as specific. Some butterflies have favorite nectar sources, but generally, they will visit many different flowers for the sweet, energy-packed, sugary liquid. Some butterflies have color preferences, some like flying low across the yard and others like to fly high amongst tree tops. To attract a wide range of butterflies, it’s a good idea to offer a variety of flower colors and plants that grow at different heights, including ground covers, shrubs and trees. 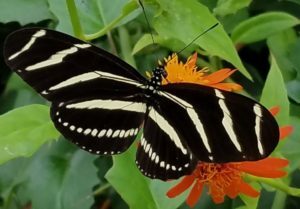 To learn about the butterflies of Southwest Florida and how to create a butterfly garden that they won’t be able to resist, come to the Garden Talk on June 9 at 10 a.m. at Edison and Ford Winter Estates. The cost of the workshop is $15 ($10 for Edison Ford members) and all participants will receive a 20% discount coupon for use toward Garden Shoppe purchases. Many different types of host and nectar plants will be available.